This Sunday, 26th March 2017, Mr. Emamuzo will be marrying his wives. 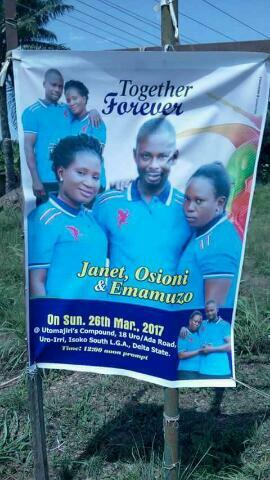 Janet and Osioni in Delta State. 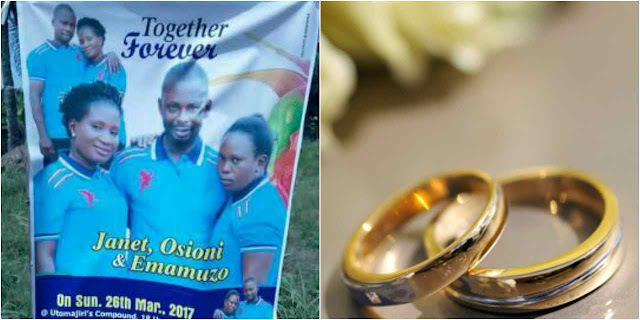 'Happy married life : Will wonders ever end? The truth is 'is there anything like taboo or is just that this that has never happened may just happened and due to the surprise and shock so it then becomes a taboo to many? » Lailans, We Have FREE Bridal Makeup For 3 Lucky Brides!